Experience Management: How to Deliver Integrated Customer Experiences | Constellation Research Inc. Organizations are realizing there is more to the job of engaging and retaining these customers. There are many points along the customer experience journey where something could “fall through the cracks” and not meet expectations. Market leaders realize the future requires proactive digital enablement of the business to support the future strategy of their organizations. 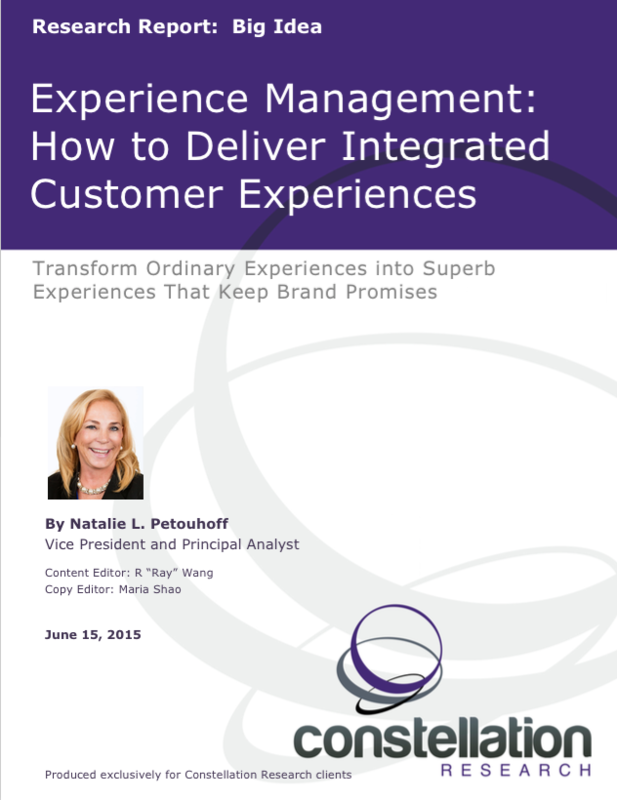 Constellation has identified key attributes required for success at experience management. By using these traits, leaders can expect to have a basic blueprint to embark on this key strategic initiative. This report provides key concepts for defining the elements required for superb experience management in the digital business disruption era. Clients should use this document as a source for planning and work closely with both the business and technical teams to ensure success to deliver on the brand’s promise.